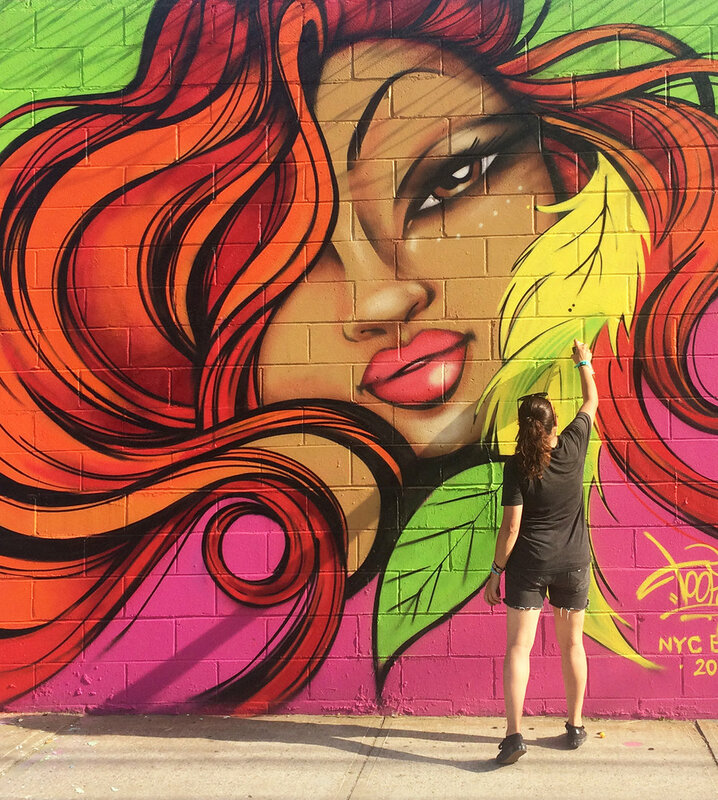 NYC, Ecuadorian artist Toofly is recognized for her hard and fluid style and signature “Love Warrior” character. One of the few women in the art world to step into a male dominated graffiti scene in the early 90's and help pave the way for other female artists. She is founder and curator of Ladies Love Project, #Grafiteras, and Warmi Paint Festival. Collectives that represent artists of color in the urban arts and design. Toofly’s work has appeared in books like Graffiti Women, Outdoor Gallery, and magazines like Juxtapoz and Latina. Her paintings have exhibited with Deitch Projects, Wynwood Walls, and Bronx Museum of Art. Staying true to her roots she continues to inspire, educate, and empower women and youth around the world. I can talk about how I got started in the subculture of graffiti as a teen in the early 90's, then as an public street artist that empowered women in the 2000's, and in present time as a full time artist, designer, curator, and social entrepreneur producing pop-up art events, festivals, exhibitions, murals, and youth workshops. I have been on the artist panel for several events including RudaFest2018, We BGirlz Berlin and at the Brooklyn Museum of Modern Art. I also gave a presentation at Life Is Living Festival in Oakland (2013).